Unfold is a stop-motion animation which takes the humble cardboard box and injects character into it, revealing its surprising malleability. Mushroom is a site-specific video installation that stretches the human body to its spatial limits. The video accumulates as disembodied movements and impulses reaching upwards and outwards, desperately trying to grasp on to something tangible. This work was made in collaboration with movement artist and actor, Chaney Chia. The screensaver becomes an unlikely breeding ground for video art. Its parasitic presence pops up when you are least interested in it. 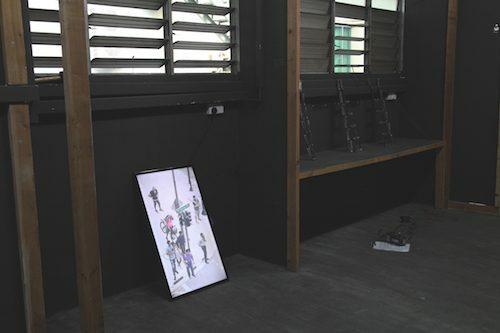 The stray cat pops up in Singapore’s HDB void decks and social media newsfeeds, roaming effortlessly between physical and virtual spaces, much like a video artist. Through recording the stray cats’ endless wanderings via my iPhone, I began adopting their playful attitude towards the world, integrating it into my art-making process. The traffic light is a transitory space for people to move around the city. This video work extends the frustration of waiting to a never-ending loop, fidgeting, scratching or tapping become ways of occupying time. Sticking out like a sore thumb, Waterloo Centre, though situated at the heart of the art district, is a reluctant participant in the hippie, trendy art events. I wanted to respond to the quaintness of Waterloo Centre by bringing attention to its many under utilised pockets of space and unattended objects found along every corridor. Ryan Benjamin Lee one of the selected artists for this year’s Undescribed, an annual platform conceived by DECK to support emerging artists who have recently graduated from local art institutions. 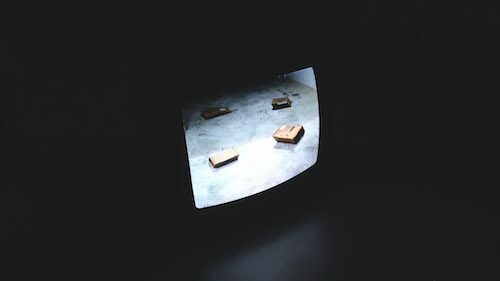 Ryan Benjamin Lee is a moving image artist whose practice utilises video art, animation, and installation to create a range of mixed media assemblages. 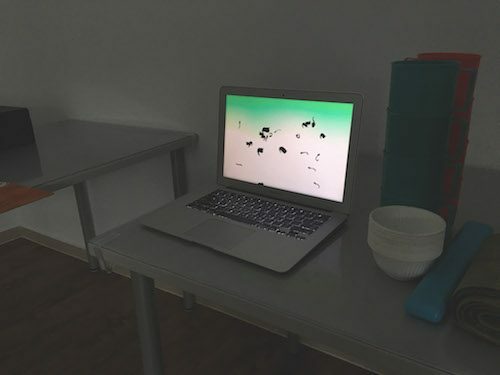 Grounded in an interest in material investigation, his artworks explore the relationship between physical and virtual spaces and how our post internet experiences seamlessly merge the two. As such, his works often have a sculptural or site-specific quality to them. Undescribed #3 runs until 31 March at DECK gallery 1 & 2.